Jules was born within the confines of the silo, living her whole life underground and knowing very little of the outside world. She sees the cleaning, the process where certain individuals are chosen to leave the silo, suited to protect themselves from the toxic air and clean the sensors so that the rest of the silo can monitor the outside world. These chosen few never return and pass away on the surrounding hills as their suits give way to the environment. When she suddenly ends up going from leading the silo to cleaning in the space of a few days she gets an insight into the real story behind the history of her home. With so many lies and secrets surrounding the silo she sets out on a mission to expose the truth but when she digs too deep she’s sent to cleaning and her actions create a revolution within the silo itself, an uprising begins but if Jules is to expose the truth first she needs to survive. I found the beginning of Wool quite awkward, the first descriptions of the cleaning itself being quite unclear, which I re-read a number of times still to be no clearer. I found the mix of describing a process while also insinuating the opposite was also happening quite difficult so close to the beginning of the story as I had no idea what was really meant to be expressed. I ignored this and continued on and soon got into the swing of the story itself. The main plot itself is quite fascinating and I enjoyed the idea of an entire culture emerging under such control and striving to break free of it once the cracks show. At 576 pages Wool is quite a long novel which seemed unnecessary, there were certain parts I felt I could flip by five pages and not really miss anything. Overall I really enjoyed the plot of this story but the padded writing simply watered away much of the compulsion I had to read it. 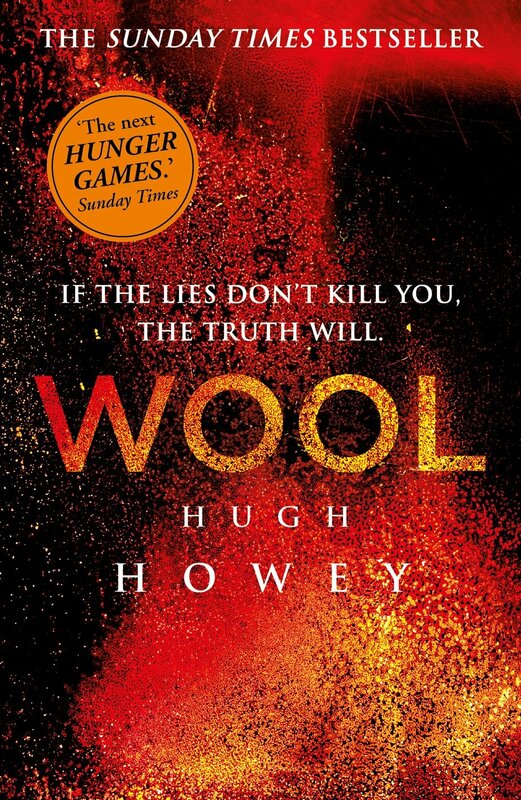 Buy Wool by Hugh Howey from Amazon click here.